Hard Candy has a lot of new goodies out for the face for spring 2014, and I’ve got the details on a few of them. Many years ago I discovered a Sheer Envy Hard Candy Primer which I fell in love with. I think it was the first-ever face primer I used and I was hooked. Now they have expanded their primer range to include five more types including Illuminating, Perfecting, Dark Spot Correcting, Color Correcting and Shine-Free. Another new item which I was happy to see is the Eye’s The Limit Eye Shadow Primer. There are also new Double-Ended Concealer Sticks called Glamoflauge that comes in shades Ultra Light, Light, Medium Light and Medium. 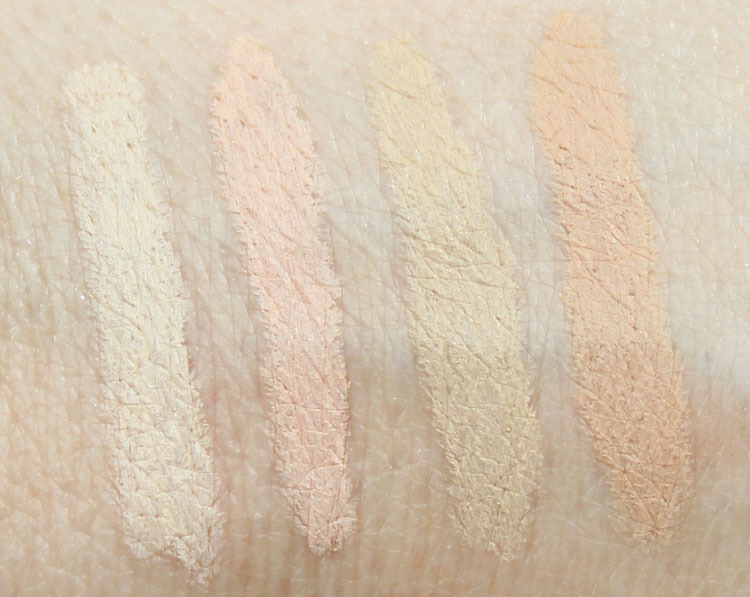 And finally they have added come CC Color Correcting Tinted Moisturizer Sticks to their repertoire and they include shades Porcelain, Fair, Ultra Light, Light, Light Medium and Medium. 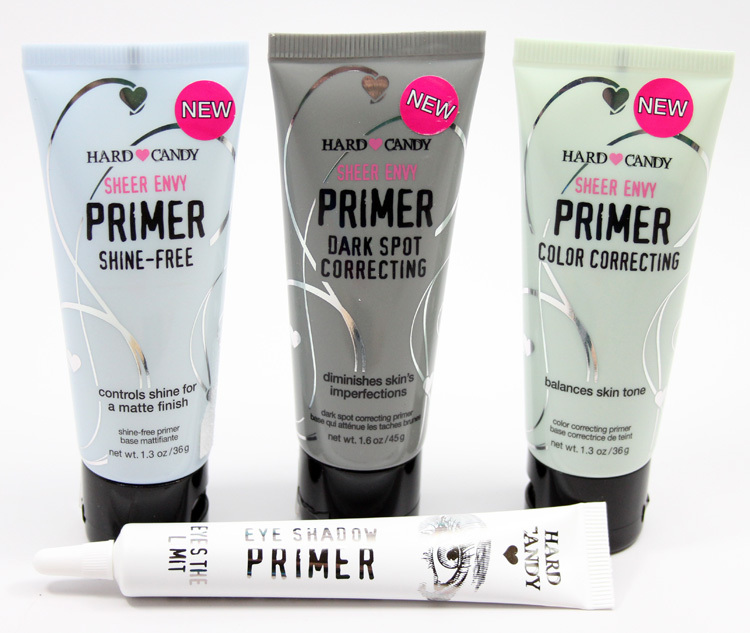 There are three new Sheer Envy Primer types now which include Shine-Free, Dark Spot Correcting and Color Correcting. Shine-Free is a lightweight formula which reduces shine and prevents oil buildup. I don’t tend to get very shiny through the day, just a little on my t-zone, so it worked for me as good as the older Ultra Light Formula does for me. This is clear and has a thick gel-like texture. Dark Spot Correcting is a skin enhancing formula that helps diffuse the look of dark circles, age spots, freckles and uneven skin tone. This one is off-white and has more of a liquid-like texture. It goes on much like a moisturizer does and dries to a slightly velvety texture. For me it didn’t really cover freckles/spots any better than the others though. Color Correcting helps neutralize redness and/or sallowness in the skin. It’s green but turns clear and velvety on the face. It did a nice job of counter-acting the redness I have in my cheeks and around my nose area. Eye’s The Limit Eye Shadow Primer is a primer base for the eyelids which helps increase vibrancy of eyeshadow and helps it last all day without it creasing or fading. It’s a pale flesh color which turns invisible on the lids. It seems a little thicker than say Too Faced Shadow Insurance. I wound up using a little too much and so it actually showed and got a little cakey on my lids. Make sure you use just a little amount, maybe less than TFSI or the Milani one. It did last all day with no creasing on me, which is great! 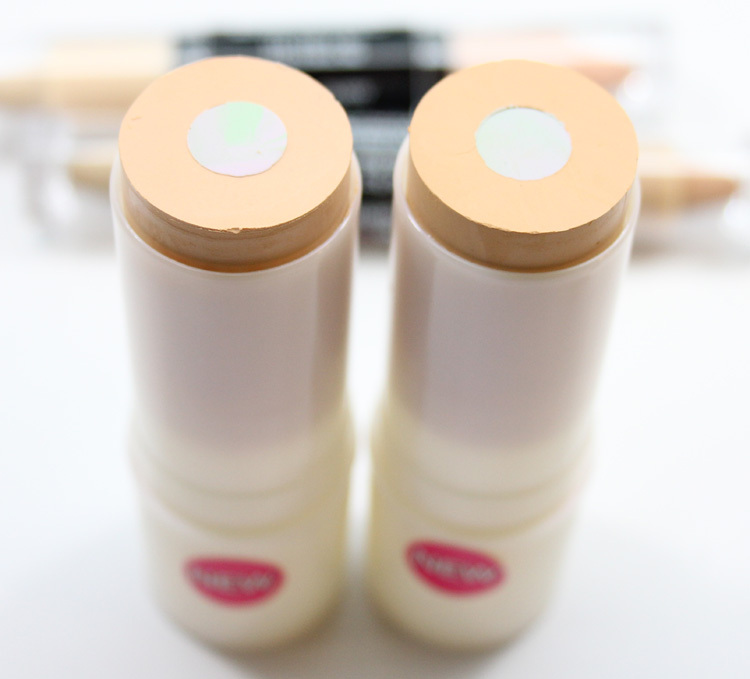 CC Color Correcting Tinted Moisturizer Stick helps improve the look of your skin. This stick has a marbled purple and green core in the middle which supposedly helps even out skin tone by reducing red and/or sallow skin. It also has a buildable coverage. 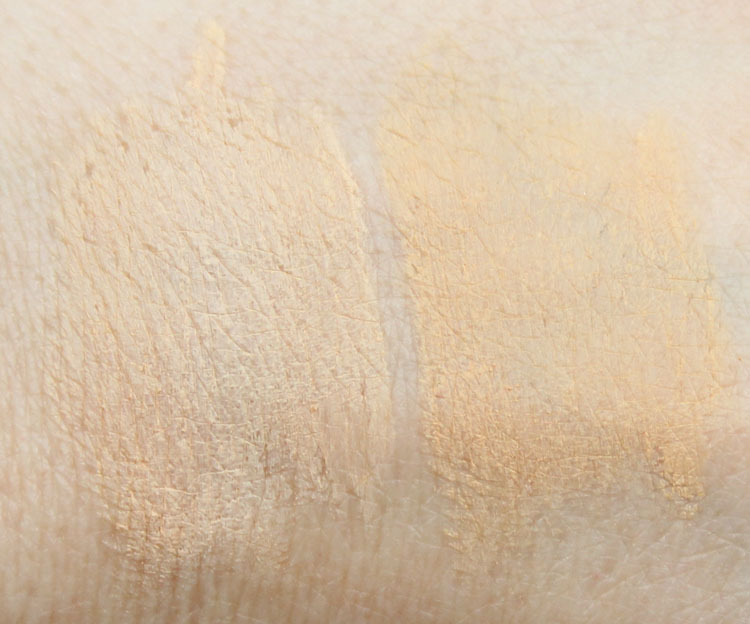 It goes on very easily and feels soft and powdery on the skin, but it doesn’t look matte or dry at all. Neither of these shades matched me that great but I did wear Medium for awhile. I like how user-friendly and portable it is. The one thing is it’s not easy to use a stick around your nose and some other areas of the face, so I used my fingers to help blend it in. I might buy the shade Light or Light Medium to see if it matches me better. 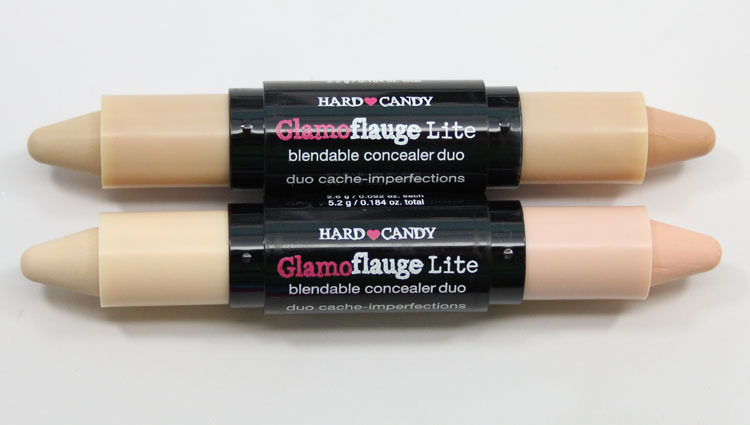 Glamoflauge Lite Double-Ended Concealer Stick has two colors per stick. You can use just one shade or combine them together for more of a custom shade. They glide on very easily and are quite creamy without being greasy whatsoever. I used the Light shade and was really impressed! Normally concealers crease on me very quickly because I have some fine lines under my eyes. These lasted hours and hours with no creasing, no running and no fading. I am a huge fan! I like that you can use the lighter shade to kind of brighten up circles, then the darker one to cover. I am really quite impressed with all of these items. 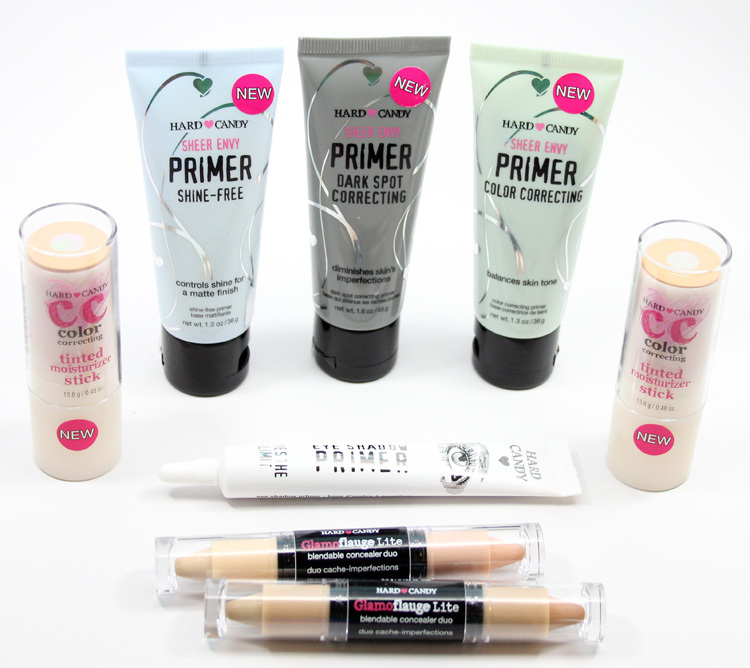 I was pretty sure the primers would be great becaue I love their other one so much and I wasn’t wrong. The Eye Primer is really good, especially for the price. I love how easy to use and small the CC Stick is, I just have to find it in my shade. The Glamoflague Lite sticks rock. I think this is going to be my go-to concealer for awhile! See anything here you want to try out?